Rock impresario Don Kirshner died of heart failure yesterday, January 17, in Boca Raton, Florida. He was 76. Although many will think of Kirshner as strictly a music legend, some forget that his reach extended to television. His best-known series was “Don Kirshner’s Rock Concert” which ran in syndication from 1973 to 1981 and featured performances by some of rock & roll’s top acts. Kirshner’s wooden and nasally on-camera introductions were almost as entertaining as the bands. But did you know that Kirshner was also involved with the NBC series “The Monkees”? 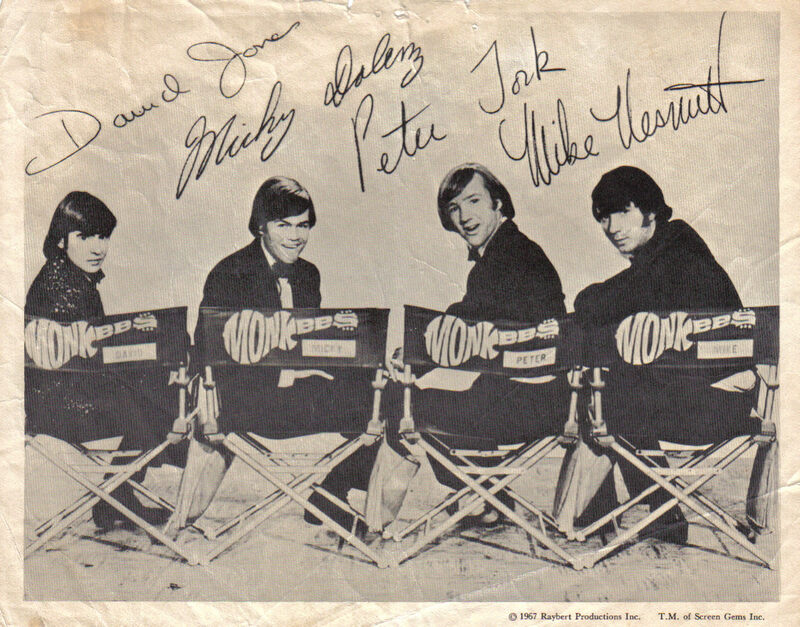 “The Monkees” which ran from 1966-1968 on NBC. He served as the original Music Supervisor for “The Monkees” and was responsible for several of their early hit records. But as the show grew in popularity the four actors who played the fake band pushed for songs that were more to their own liking. Eventually Kirshner stepped aside. Another series that Kirshner produced, with Norman Lear, was the 1977 CBS sitcom “A Year at the Top” which starred Paul Shaffer (yes, THAT Paul Shaffer) and Greg Evigan. They played a music duo who sells their souls to the son of the devil (Gabriel Dell) in exchange for “a year at the top” of the charts. The show ran for 5 weeks, but both Shaffer and Evigan would find better partners to work with. Shaffer as musical director for David Letterman since 1982, and Evigan as the straight man to a chimp named Bear on NBC’s “B.J. and the Bear” from 1979 to 1981. Don Kirshner was a New York City native born in the Bronx on April 17, 1934.